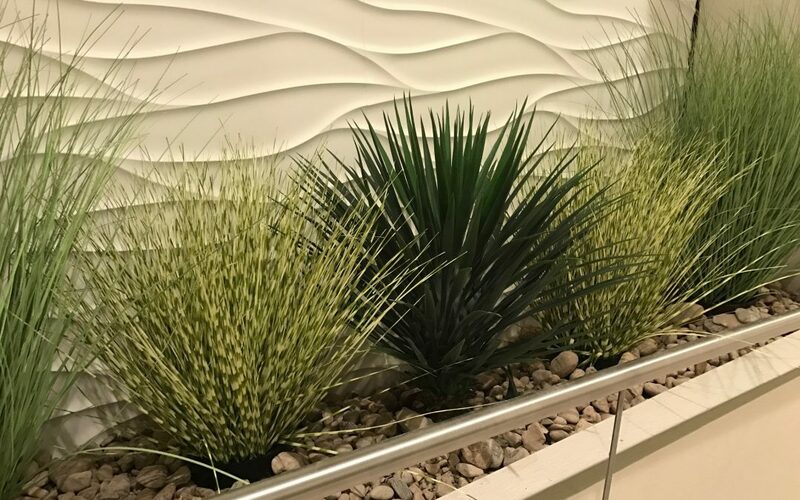 Make Be-Leaves worked closely with the talented interior designer, Paul Darrall to create a very natural-looking river grass themed artificial plantscape for the newly renovated Holiday Inn Austin Town Lake Hotel. We have extensive experience in creating custom plantscaping in hotel spaces that complement their live plants. Whether for main lobbies, ballrooms, restaurants, or guest suites, Make Be-Leaves works closely with interior designers and architects to provide high quality, custom plantscaping, working within budgets and required time lines. Ayres Hotel in Costa Mesa contacted Make Be-Leaves to replace their live spiral topiaries in their center courtyard area with UV artificial boxwood topiaries. The “boxwood blight” disease has been affecting real boxwood globally, creating great challenges to maintain healthy-looking, manicured boxwood. Our custom constructed UV exterior boxwood topiaries integrate beautifully with surrounding live plants.